Get luscious looking lips with Simply Pretty Restage Colorbliss Lipstick. A smooth and hydrating lipstick for everyday use enriched with the goodness of vitamin E, jojoba oil, rice bran oil and soyabean oil. Helps in retaining moisture on lips. Has the goodness of oils that nourish lips. Explore the entire range of Lipstick available on Nykaa. 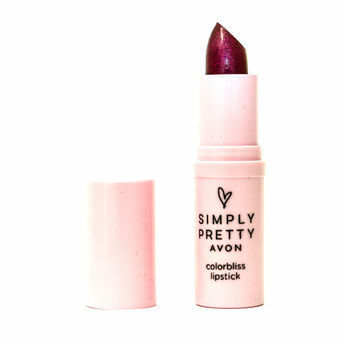 Shop more Simply Pretty products here.You can browse through the complete world of Simply Pretty Lipstick .Alternatively, you can also find many more products from the Simply Pretty Restage Colorbliss Lipstick range.